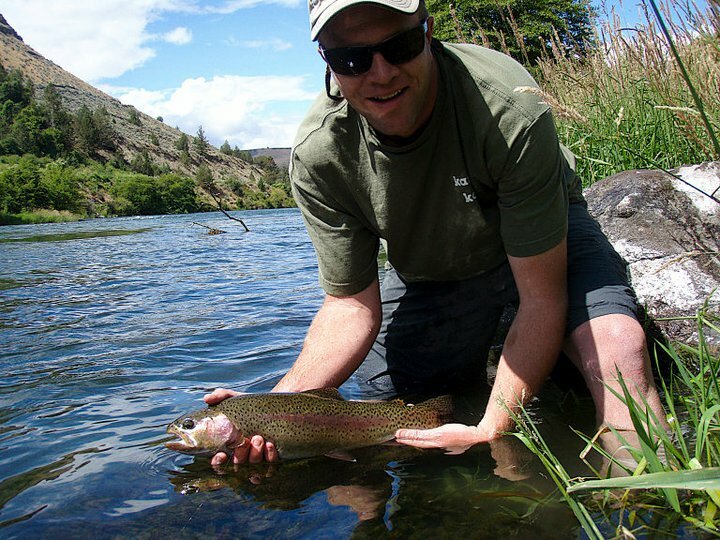 Brian Marz's Fly Fishing Oregon Blog: Nice Deschutes Fish! My friends went to the Deschutes this past weekend, and I was not able to make it out. The fish in the pic is a reminder of that I missed out on. Sunny weather and fat rainbows is always a pleasure to take part in. Way to go Mr. B! Nice rainbow!